Engraving a memorable quote, dates, or you and your spouse’s nicknames gives your jewelry that extra little something. 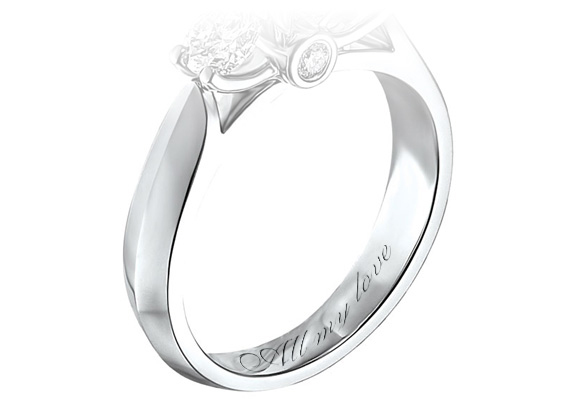 Whether you want “All my love” or “9-14-12” our skilled engravers can give your piece that extra touch. Through machine engraving, accomplished with power-driven engravers that work off templates or computer-aided designs, Clayton Jewelers will transform your jewelry and giftware into a personalized keepsake.